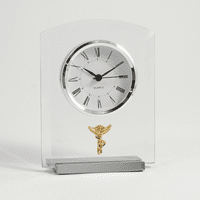 FEATURES/SPECS Nurses are compassionate, caring and kind, the lifeblood of our hospitals and medical institutions. Reward a nurse for the selfless and tireless service with this nurse's theme chest clock. 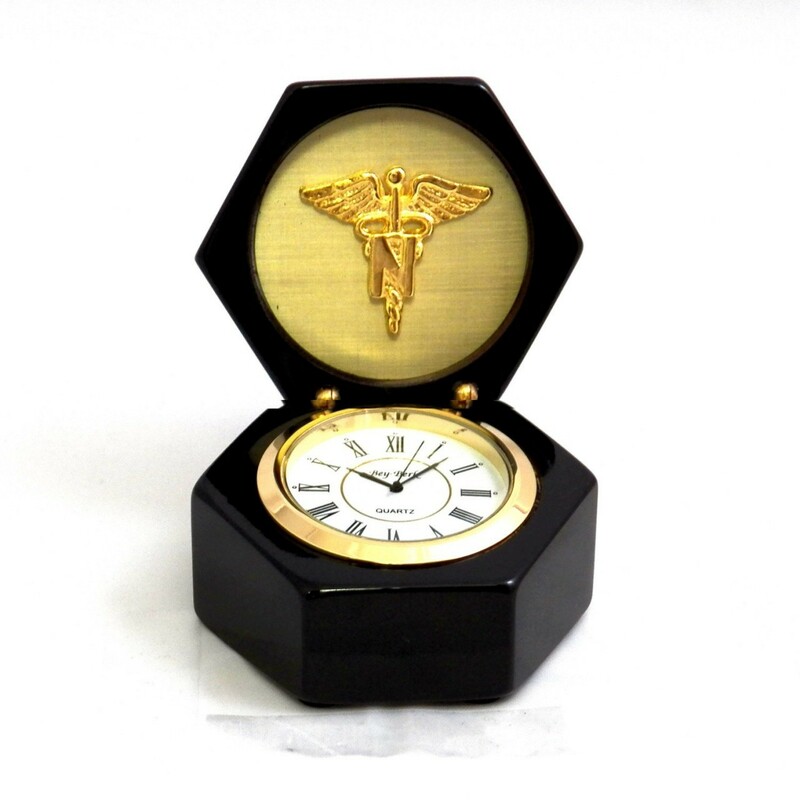 It features a rotating clock with a large white dial and black numerals set in a polished black wood chest-style case. The clock is surrounded by a polished gold bezel. 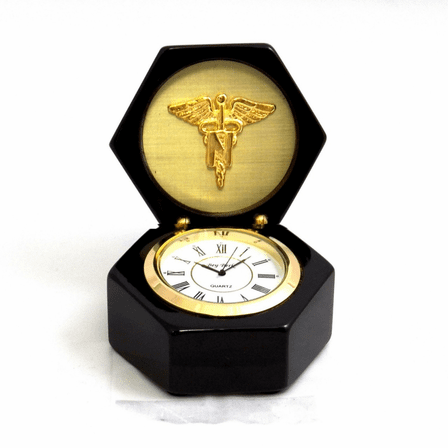 The underside of the lid has a brass plate with a nursing emblem on it. The nurse's emblem is basically a Caduceus symbol with a large "N" on it. 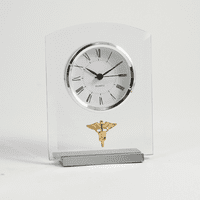 This chest clock is a great gift to thank a nurse for special care you have received and its perfect for a loved on in the nursing profession.